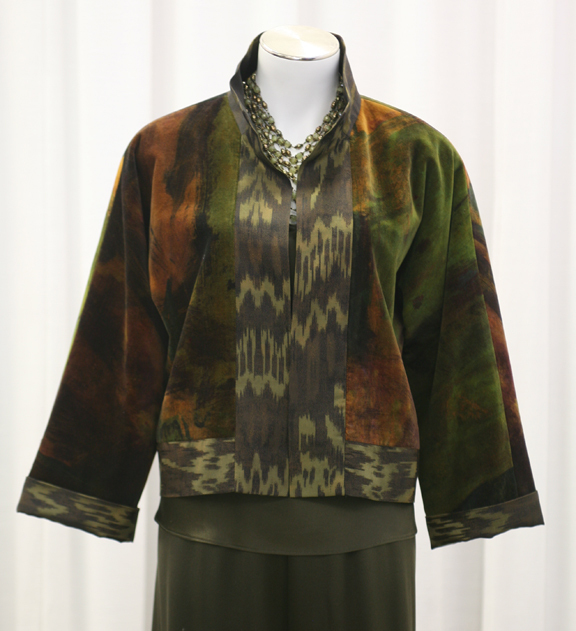 Another popular item in our store is the cropped Little Jacket. 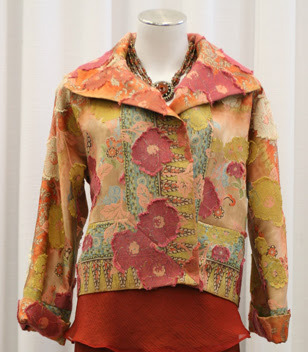 We have been doing this jacket for a couple of years in all sorts of fabrics. Lately we have been experimenting with combining fabrics of different textures for our Little Jacket - to make it even more fabulous! 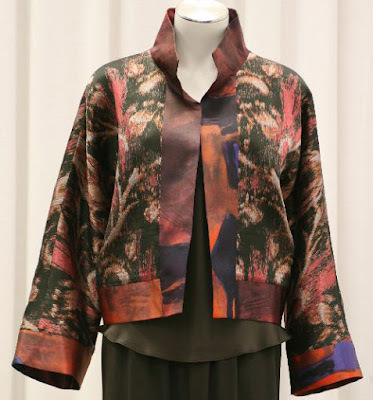 This jacket is a bestseller because it works on everyone - any height - any body type. We do this jacket in XS to 3X and it usually fits one size down. So if you are normally a medium, try a small! Wear the collars up or down - wear the jacket open or closed - personalize it to your style! 5 Easy Pieces - the Tunic-Caftan! Ready for the Holiday Season!